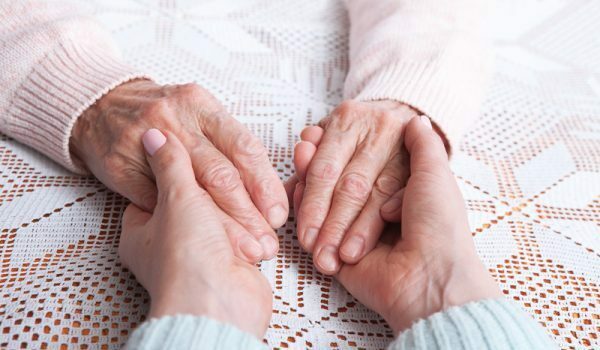 As a patient who has been living with a multitude of painful chronic illnesses for over 15 years now, I have had to reluctantly rely on caregivers. Being a highly independent and self-sufficient person my entire life (even living in my own apartment at 16), this has been a very difficult pill to swallow! The most pivotal caregiver and unsung hero in my life has been and still is my mother Donna. So on this Mother’s Day 2018, I honor her! Further, I will share some lessons learned about honoring the caregiver(s) in your own life. Throughout my entire 20s, my focus was on my upwardly mobile and successful business career. But when I suffered a life-changing spinal cord injury during an epidural steroid injection procedure that went wrong, and was subsequently diagnosed with CRPS/RSD (and additional chronic medical issues), I was stopped in my tracks! Everything I had worked so hard for was gone in an instant and suddenly I needed my mommy – in a big way! Yes, my soon-to-be husband lived with me at the time, but I wanted and needed my mom the most! Even though my mom had a demanding full-time job at the time, she jumped right in and sacrificed everything to be there for me. Along with my husband, she went to doctor’s appointments, came over and helped me, and just simply held me and told me it was going to be ok even though none of us had any idea if it would be. 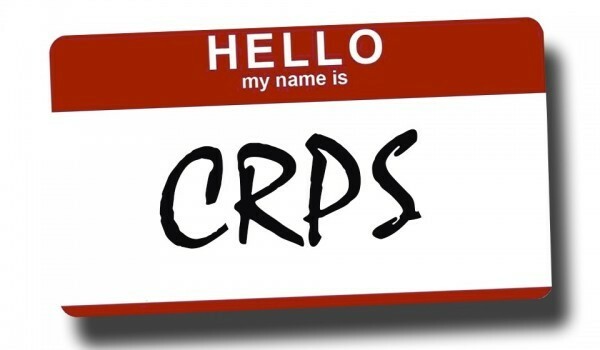 We were all scared and confused – we knew it was bad but certainly didn’t realize the extent of the far-reaching medical journey that was ahead at that naive point in time when CRPS/RSD was even less known than it is now. Not only were most doctors unfamiliar with this monster of a disease, but there were no Facebook or support groups, nor was there much viable information on the fledgling Internet as to what it all meant. So we were truly on our own – my mom and my then-husband as my primary caregivers – and me. A few years into my medical journey, I ended up getting divorced – and no, ironically not because of my medical issues but that’s another story! After my divorce, my mom was my primary caregiver. Although I still lived alone, I was unable to drive – for almost 10 years total! 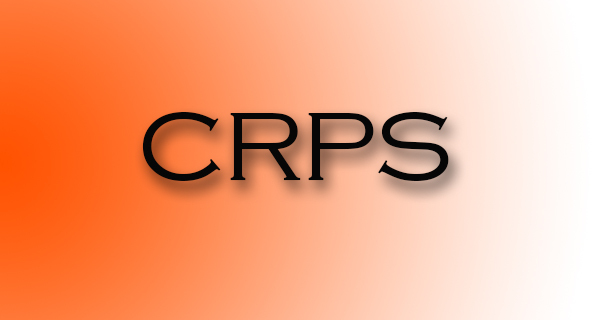 I had to use a wheelchair and walker a lot of the time and similar to many CRPS patients with uncontrolled pain/symptoms, I rarely left the house or even the bed for many years. I needed help – and a lot of it. It was a confusing and scary time for both my mom and me. I was in so much severe intractable pain, with changing and devastating symptoms and new diagnoses, along with the significant loss and grief that surrounded my “new normal;” because of all this, it was hard to focus on the fact that my caregiver was also going through the same life-changing loss and grief I was – she just didn’t have the physical piece. But she was watching her once vibrant and independent daughter being reduced to a shell who didn’t necessarily want to even exist anymore given the amount of physical suffering I was in. Those years were obviously very hard on both of us and I know many patients and caregivers out there can certainly relate. I was so wrapped up in my own suffering, crisis and needs, that I rarely took time out to check on my mom or ask how she was handling all of this. I was also naive to think that it wasn’t affecting her greatly because she wasn’t experiencing the physical components, which was completely false. She was/is married and was working full-time (now retired), yet gave all her extra time and energy to me. Inevitably this put a strain on her responsibilities and other relationships as well as ours. Needless to say, we developed some friction and resentment towards each other, which was merely hurt, fear and frustration with the situation, manifesting as anger. So it is important to communicate with your caregiver(s) – to check in and ask how they are doing. They need to express their feelings and pain too as they are suffering right along with us. So many lives are impacted from the effects of a chronic illness. Often times, household dynamics and responsibilities shift, which necessitates spouse caregivers take on a whole new set of tasks that may be foreign to them. Children may need to step up household chores as well and may act out as a result. They can also be frightened of what they don’t understand, especially when it comes to a parent dealing with medical issues. It is important to be cognizant of how your medical crisis is affecting loved ones as well as yourself and not shy away from discussing it or simply asking questions. Some caregivers aren’t comfortable discussing their feelings and will be more likely to withdraw or deny them and that’s ok too. If appropriate, it may help to get a Counselor involved, as dealing with the stress of caregiver/patient (and other) relationships has many different facets that we as the involved parties don’t always understand. When we are consumed with a medical crisis, it can be hard to think, let alone talk about anything else. Don’t forget that you and your caregiver(s) can find other things to discuss – and you should. Ask him/her about his/her day, talk about current events or just watch a movie. It can bring much-needed relief for both of you to take a break from discussing your medical situation, and keep in mind it can also distract your pain/symptoms as well as your caregiver’s worries to laugh and talk about something – anything else! One of the things I remember when I was at my worst is my mom telling me she loved to see me smile and laugh again! No one wants to constantly talk about negative and depressing things and sometimes it just helps to feel normal through a little laughter! They don’t say “laughter is the best medicine” for nothing! I don’t know what I would have done without my mom – both then and now. She would help me with errands, laundry, cooking, driving me to the ER and countless other appointments (in and out of town), finding other caregiving assistance and basically anything else I needed without ever asking for anything in return. In a sense, I took this for granted and put a lot of pressure on her because she was my mother. I could have thanked her and told her how much I appreciated her way more than I did. I realize not everyone has a mother or caregiver as dedicated as I do and it hurts me to think my focus was turned so inward on my own suffering that I just assumed she would be there for me because she was my mother. She has shown me the value of true commitment, loyalty, forgiveness and unconditional love and I tell her how much I love and appreciate her and thank her now probably more than she wants to hear! 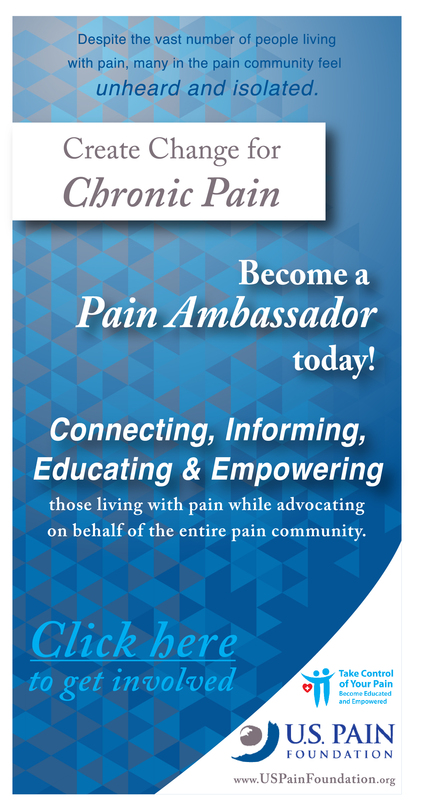 As most patients know, when our pain and symptoms are unmanaged and out of control, we become more focused on trying to “fix” or cure them as opposed to trying to live with or manage them, which is impossible when dealing with an incurable chronic illness. Desperation sets in and our worlds become smaller and smaller. It’s as if we develop tunnel vision and cannot see anything or anyone around us who is also suffering because our suffering is worse, right? WRONG! For lack of a better term, it becomes all about us! We become self-consumed to the point of self-pity. And in this downward spiral, we have a tendency to drag our caregiver(s) down with us. Of course this is not any more healthy for them than it is for us! Ever heard the term “misery loves company?” Well I think at some points along the way this quote fits perfectly. It’s as though the fear and stress of our medical issues causes us to grasp ahold of those closest to us and not let go. We are scared if they go anywhere or spend time with others, or have fun they will leave and never come back and we will be all alone. After all, why would someone CHOOSE to be around the negativity and misery of chronic illness and pain when they can live a normal life? As patients, this is the tape that plays over and over in our heads and makes us cling to those we love in times of need. We don’t want to be burdens to anyone, to the point of sometimes pushing people away; but we also don’t want our caregivers to abandon us either. It’s a dichotomy. In reality, getting away and taking breaks is what caregivers need the most! In order to be healthy and effective, caregivers need to take care of themselves FIRST before they can take care of us. So encouraging our caregiver(s) to live as normal a life as possible is exactly what we as patients should do. This means encouraging them to go out with friends, go on vacations, spend time in the spa, etc. – even forcing them if need be! 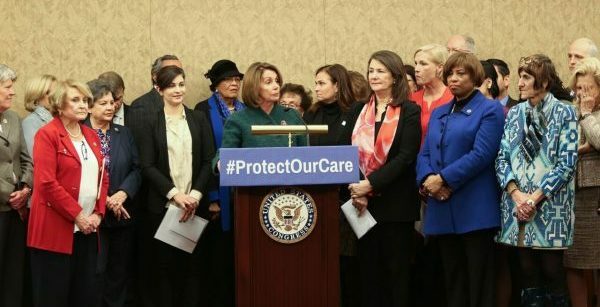 When someone is acting as a primary, basically full-time caregiver (because I’ve been told even if they aren’t physically there with the patient, most likely they are thinking and worrying about the patient), it is exhausting – not only physically but mentally/emotionally, spiritually and for some, even financially. Caregivers need to ensure they do not end up as patients themselves! As they feel refreshed and healthier, caregivers will become better equipped to deal with the physical and emotional roller coaster of the patient’s needs which in turn will have a positive impact on the patient. Of course no one would choose the role of a caregiver, any more than we choose the role of a patient. They do it out of love, duty and commitment to support their family member so we won’t have to fight the chronic illness battle alone. They want to help and it gives them peace knowing they can make our lives a little easier. Knowing they have dedicated themselves to the pivotal role of a primary caregiver should give us comfort that they will still be there for us even if they would have more fun doing something else! So on this Mother’s Day and everyday, I honor you mommy, and all the other caregiver warriors out there who make living with chronic illnesses and pain possible through your undying support, friendship, advocacy and unconditional love. I am forever grateful. Happy Mother’s Day! Melissa Wardlaw was diagnosed with CRPS/RSD as a result of a spinal cord injury (non-paralyzing) suffered during a routine medical procedure. She also suffers from fibromyalgia, lumbar and cervical degenerative disc disease, migraines and additional chronic medical issues. Formerly a Business Executive/Consultant with an MBA in Entrepreneurship, she is also a Certified Career Coach and Certified Professional Resume Writer, and now spends her time career coaching and offering peer counseling/advocacy (pro bono) to those dealing with similar medical struggles. 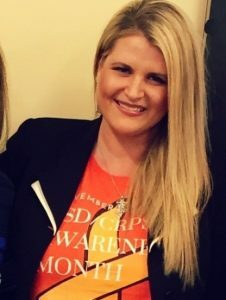 As a fierce advocate, she also runs both in-person and online Support/Empowerment Groups for CRPS/RSD and Chronic Illnesses/Pain in the Metro Atlanta area. Melissa is an avid volunteer and supports multiple organizations committed to rescuing animals and helping those with chronic illnesses/pain. She is a fur mom to two cats, who graciously “allow” her to live in their new house in Atlanta. She can be reached at mw2227@gmail.com. Melissa, Yours is an excellent writing! I couldn’t read it fast enough since I was relating to so much of it, and of your condition. You and your Mom are incredible women!! For me…I basically have the same conditions and have had no caregiver along my journey whatsoever. You have been very blessed. During my earlier years of chronic pain my daughter did live with me. She was in her late teens to rely 20’s. We were very close. But then she began to drastically change toward me. I was going through my spine surgeries today. I had lost my nursing career and became disabled and she was my helper and sounding board. Suddenly she began to show resentment and started treating me poorly. Then one day she came home from work (I was just a month post op) and told me that she quick her job and was moving 2 states away to be with her boyfriend (now her husband). She packed up and left that night! I was devastated, hurt beyond hurt, very confused etc. She refused to talk with me about it all and still won’t (15 yrs later!). I eventually went to therapy and learned to figure that my ‘child’ was probably burnt out and fearful from having to care for me and because of my life’s changes. She just couldn’t tell me that and therefore she up and left. She used to call me her ‘super mom’ and I was no longer that mom to her. Was it immature of her to handle it that way? Yes. But I suppose she did her best and just couldn’t do it anymore…even if it meant leaving her mom that she once adored and loved so much…all alone. Even though I always thought we communicated very well about all that was changing and that she seemed to accept and deal with it just fine. Once they got married they moved clear across the country! Another very hurtful time for me. More therapy. So, my point in this basic story of mine is that you are so right about recognizing what the caregiver is also going through. I had never asked my daughter how this was effecting her. I was too absorbed in my life. I suppose I took for granted that ‘since we are family’ she will forever roll with the punches alongside me. For, I was a great single mom and she has never denied that. But she surely and fiercely proved me wrong. Our mother/daughter relationship has never been the same. I believe that to this day that she still can’t handle how her ‘super mom’s’ life has drastically changed. I say “yes and amen” to this sweet message!! My husband has stepped up in our situation and sacrifices greatly for me. So because I love him, I let him get away as often as possible to breathe and refresh. I try to focus on what’s going right instead of wrong. I try to make it more about him and less about me, because despite my efforts it’s still flip flopped since I’m the one in need. It’s been a very humbling experience to be needy as I was accustomed to being very strong in every way. But it makes me love him and be grateful for him all the more! Happy Mother’s Day to all of you who suffer and those who Mother us. It’s a rough road sometimes but no matter it is our road and we do what we can to make our days better. I just wanted to say that to all of you out there reading this blog. My Husband is a Saint and My Mother suffered with Cancer and we lost her at age 47. I am 59 I cannot even imagine not being here this past twelve years and I think what a short life that really was. I am grateful for the time I had her and also grateful I was healthy to take care of her those years back. Almost thirty six years ago it doesn’t seem possible. Honoring her today as I am still here and my Son is about to be Married I am hoping there is a decent something coming to help turn this painful existence full of the flares and ups and the downs into energy and stamina so I can Welcome Grandchildren into our Future !! Thank for the memories Mom your missed everyday !! Happy Mother’s Day to all of you enjoy you have earned this day it has been a joy and a privilege to be blessed with one wonderful Son … He is the best ! !